The Skin They’re In - Family Times is an award-winning magazine with staff-written news, feature stories and artwork that inform and inspire Central New York parents and their children. But parents of a different generation, one less accustomed to prominent body modifications, may have a variety of concerns on behalf of their young adult children. I will admit I’m one of them. Certainly, we parents are better able to take the long view about workplace standards for various careers. A young person may need help deciding if he or she might someday want the option to enter a conservative profession such as banking or the military. If kids over age 18 want to get piercings or tattoos, they can, legally. 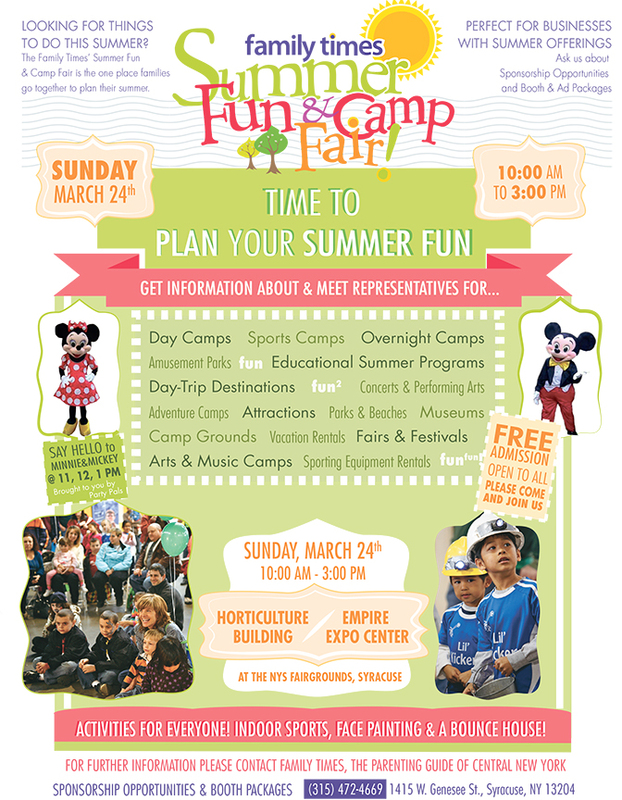 But parents who do their own research may be able to help a young person determine the location and type of modifications (so they’re not visible under most clothes), and assist in vetting reputable body art studios that follow best practices to avoid transmission of disease and other hazards. into America’s first professional tattooed lady. Other than on circus performers, until relatively recently tattoos in the United States have appealed primarily to men in certain groups such as sailors or soldiers. But in the 21st century, tattooing and other forms of body modification surged in popularity among young people. A 2014 Fox News poll found 34 percent of U.S. citizens surveyed under age 30 had tattoos. Forty-seven percent of women under 35 had at least one tattoo. Other polls have noted the trend as well. A 2009 Pew Research Center survey found nearly 40 percent of people ages 18 to 29 had a tattoo and nearly 25 percent had a piercing in a place other than an earlobe. Today it is commonplace to see young adults with body art. However, a young person who wants body modification must accept the responsibility for a change that is lasting, unless he or she undergoes plastic surgery at a later date. In New York state, a child can receive a piercing in a body part other than the ear, with a parent’s written consent. A parent or legal guardian must fill out and sign the consent form—which specifies the location of the piercings—in the presence of the body piercing studio owner or the studio’s piercing specialist. A person under 18 cannot legally receive a tattoo in New York state under any circumstances. New York state allows an 18-year-old to make independent decisions about tattoos and piercings. 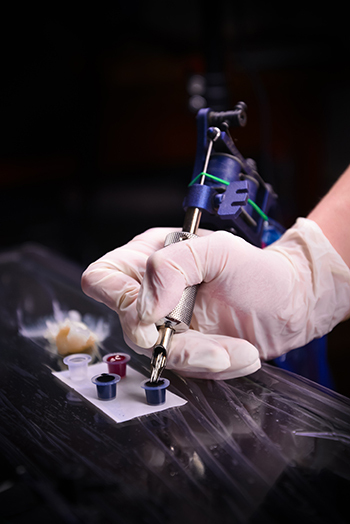 Although they are legally able to receive permanent body modifications when they are 18, that does not always mean young adults can anticipate how such changes will affect them. A young person’s brain does not reach maturity until his or her early 20s, according to the National Institute of Mental Health. That means brain functions such as the ability to plan ahead and control impulses are still growing. Parents hoping to persuade their young adult children to carefully weigh their options before receiving body art may feel they’re swimming against the social current. My oldest child, Danielle, turned 18 last year, and I’ve had difficulty accepting her decision to express herself with tattoos. It was an eye opener to discover her path has already been trod by those a few years older than herself. These young adults may be newly married with young children, and they’re often proving to be more responsible and forward-thinking than I had acknowledged. Old school or not, should parents intervene? It can be a way to retain some control over the location of the body art, and it can also allow parents to help find safe and reputable artists. New York’s Department of Health requires tattoo and piercing artists to have individual permits and to follow the state’s laws and codes. Tattoos and piercings carry several risks other than infection and transmission of diseases. Besides allergic reactions, scarring and sensitivity, another common complication for all art is granulomas. This small knotty tissue can develop around new art in response to ink or jewelry. Nerve damage and prolonged bleeding are potential side effects of all piercings. Mike Hines is the owner and artist of The Ink Spot in Clinton and has been tattooing for almost six years. We met five months ago when I was referred to him by a friend after I decided to get my first tattoo. Ultimately, he did the only two I have. He keeps his studio spotlessly clean, which is one sign of a trustworthy establishment. His ink bottles are covered tightly and kept together in a cabinet. The shiny metal trays and washable tables are easily covered with plastic wrap that can be disposed of so they can be disinfected between clients. He uses hospital-grade disinfectants, Cavicide and Madacide, because they kill not only tuberculosis but HIV, hepatitis and other stubborn pathogens. Hines believes the more precautions taken, the better. Some shops use only bleach, and while that isn’t wrong it also isn’t the most effective. Parents have various concerns about tattoos, but one mother in Canastota, Jodee Love (using her maiden name to protect her child’s privacy), discovered that allowing her daughter to get a tattoo was a healing experience. McKenzie was in therapy because she often cut her arm to release emotional pain, and she bore scars as reminders. McKenzie wanted a tattoo, and her counselors supported the move. Love stipulated her daughter had to earn the money to pay for the tattoo and to stop cutting. Eight weeks later, when she had the money, McKenzie got a tattoo of a lotus flower, known for beauty that grows and blooms out of dark, muddy water. McKenzie has gone eight months and counting without cutting. The symbolism is not lost on either of them. Other parental fears about body modification may similarly be unfounded. Colleges, for example, take no notice of tattoos or piercings, according to Sean Kesselring, guidance counselor in the Cicero-North Syracuse School District for 23 years. “It’s almost like a non-issue,” he says. Parents I interviewed who have their own art—mostly tattoos that can be covered—agree they may not be happy with their children’s choices at 18 but also defend their right to do it. None, however, support their children getting stretched piercings. world experience to know what difficulties I might face and how I would handle them. Knowing it’s against my employer’s policy to have visible tattoos, I decided to get one on each foot where I can easily keep them hidden but also admire them when I’m not working. Although I worry about her future professional decisions, my daughter isn’t concerned her eight tattoos will affect her career choices. Yet many tattooed young adults haven’t encountered significant obstacles. The Fox News poll found most respondents said they would hire someone with a visible tattoo. 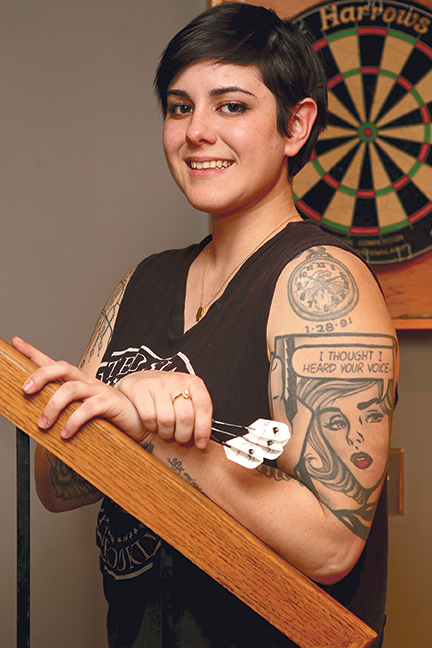 At 25 years old, Ashle Vanelli of Syracuse has 22 tattoos. She says she has never been discouraged by employers but also notes that she wears long sleeves during interviews. The pastor of First English Lutheran Church on James Street in Syracuse, A.J. Striffler, is a registered nurse in his mid-40s with ear piercings, a Mohawk, and several tattoos. “Society wants conformity,” he says, but “we are a society of perpetual body modification.” He believes it’s about time we all embrace difference. On the other hand, some young people may find themselves seeking jobs in professions with strict rules about visible body modification, such as the military, health care or finance. Sang Kim, M.D., of Syracuse Facial Plastic and Cosmetic Surgery Center in East Syracuse says his office each year treats a handful of patients who have regretted earlobe enlargement and now require corrective surgery. Many of his patients come in to satisfy military requirements before service. Young people about to turn 18 and dead set on getting art may tend to focus on the design and where it will be to the exclusion of other concerns. This conversation may need to take place sooner rather than later. On her 18th birthday, my daughter came home with her first tattoo. She had already planned on getting body art and was just waiting to be legal. She started small and on an area that could be covered. Parents can play a role by suggesting young people ask themselves questions such as “What will this look like when I’m walking down the aisle?” or “How about when I’m 50?” As with any other important decision that relates to health, getting referrals for a trusted artist can add to peace of mind for both the parent and teen. What my daughter and I have agreed on is the meaning behind the art. For most people what they decide on is symbolic to them. Everyone I talked to agreed that although they might not choose today the art they got when they were younger, they have no regrets. They accept the art as part of their life’s journey. My daughter sums it up this way: “I feel they are reminders for me on what I believe in and what I live by.” I might not understand today’s teens and their body art, but maybe there’s more than maturity involved after all. • The work area should be clean. • The artist should wash his or her hands and use clean, disposable gloves. • Packaged single-use needles should be opened in front of the client and disposed of in a sharps container. • Equipment should be wrapped and the work area covered for each client. • The artist should clean the area to be tattooed or pierced. • The artist should shave the area to be tattooed, if necessary, with a new, disposable razor. • The artist should not use a piercing gun for areas other than the ears. • The artist should cover the tattooed skin with bandages once done. • The artist should provide after-care instructions. • The artist should use a disinfectant between clients that kills tuberculosis, such as Cavicide. Tuberculosis is one of the most difficult to kill pathogens, and a disinfectant that kills it is also effective against HIV/AIDS, and hepatitis B and C.